Pledge and Donate to Bible Believers Fellowship, Inc. through workplace payroll deductions. Bible Believers Fellowship, Inc. relies on the gifts and prayers of employees like you. Your support is being used by God to change lives and enables us to preach the Gospel to inmates in the USA. Your workplace pledges and contributions will help share God’s Word with those who are living in deep spiritual darkness. You will also help to reduce crime by redirecting the paths of those to be released from the ways of their criminal past to the straight and narrow (Matt. 7:13-14) leading to Christ. If you are a federal, state, or corporate employee, you may be able to pledge or donate to Bible Believers Fellowship, Inc. by payroll deduction. Your employer usually offers you this option in the Autumn when charitable campaigns are taking place. During the months of September through December, all Federal Employees are asked to contribute to charities listed in the Combined Federal Campaign (CFC) brochure. Charities mentioned in the brochure have to meet the strict criteria of the U. S. Office of Personnel Management (or referred to as OPM), otherwise they are denied participation in the annual CFC fundraising campaign. Payroll deduction allows employees to give to the charities they like and want to support by deducting a predetermined amount (that the employee decides on) from their pay bi-weekly. The employee also has the option to give a one time gift to their favorite non-profit listed in the brochure. Bible Believers Fellowship, Inc. is listed with CFC #11463. 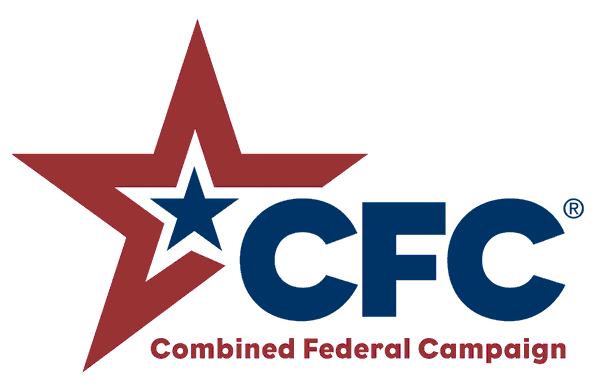 Our Combined Federal Campaign (CFC) donor number in the national campaign is 11463. We are listed under the Federation "Christian Charities USA." Bible Believers Fellowship, Inc. has been participating in the CFC (Combined Federal Campaign) since 1991. 96.4% of every dollar goes to proclaim the Gospel of Jesus Christ to correctional facilities nationwide. Bible Believers Fellowship, Inc. has been awarded America's Best Charities Seal of Excellence. During the Autumn, all State Employees are asked to contribute to charities listed in the brochures handed out. Charities mentioned in the brochure have to meet the strict criteria of the state government, otherwise they are denied participation in the annual state fundraising campaign. The following is a list of the states we are allowed to participate in and our listing numbers. We are listed with #12815 in the CA State Employees Giving At Work Campaign. We are listed with CSEC #7811 in the Connecticut State Employees Campaign. We are listed with MCC Code/EIN #112999652 in the Maryland Charity Campaign. We are listed with SECC #6699 in the MI State Employees Combined Campaign. We are listed with ECC #3562 in the New Jersey Employees Charitable Campaign. We are listed with SEFA #999-00072 in the NYS Employees Federated Appeal. We are listed with CCC #25010 in the Ohio State Combined Charitable Campaign. We are listed with SECA #8000-0032 in the PA State Employee Combined Appeal. We are listed with CFD #0316292 in the WA State Employee Combined Fund Drive. We are listed with SECC #6735 in the WS State & University Employees Combined Giving Campaign. Corporate Employees are asked whether or not they would like to contribute to charities listed by their employer during the time of fundraising. Charities mentioned have to meet the strict criteria of the corporations, otherwise they are denied participation in the annual fundraising campaign. Since there are too many corporations to list here, please inquire with your company whether or not you can pledge or donate to Bible Believers Fellowship, Inc. If our nonprofit charity is not listed, the employee might have the option to write in Bible Believers Fellowship, Inc. as a possible designation.